Race and technology are two of the most powerful motifs in American history, but until recently they have not often been considered in relation to each other. 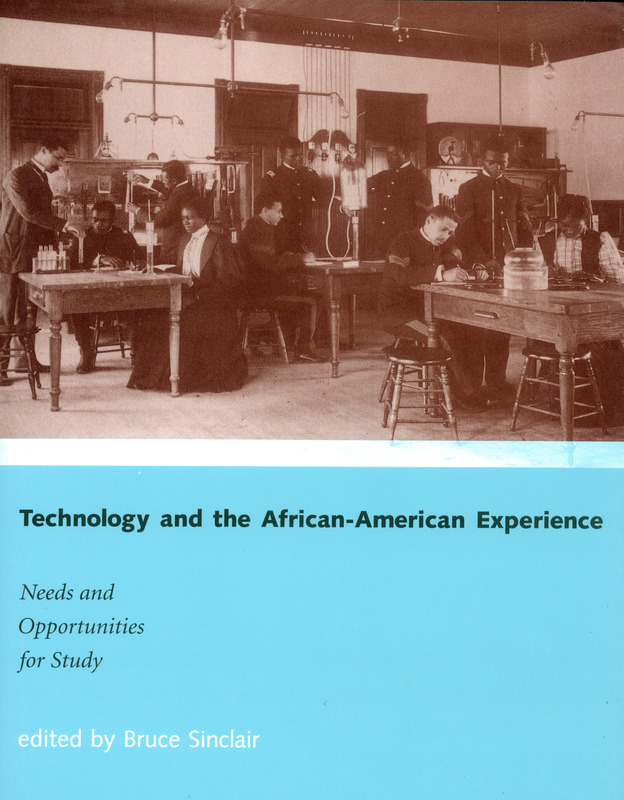 This collection of essays examines the intersection of the two in a variety of social and technological contexts, pointing out, as the subtitle (borrowed from Brooke Hindle's classic 1966 work Early American Technology) puts it, the "needs and opportunities for study." The essays challenge what editor Bruce Sinclair calls the "myth of black disingenuity"—the historical perception that black people were technically incompetent. Enslaved Africans actually brought with them the techniques of rice cultivation that proved so profitable to their white owners, and antebellum iron working in the South depended heavily on blacks' craft skills. The essays document the realities of black technical creativity—in catalogs of patented inventiveness, in the use of "invisible technologies" such as sea chanteys, and in the mastery of complex new technologies. But the book also explores the economic and social functions of the disingenuity myth, and therefore its persistence. African-Americans often saw in new technologies a means to escape racial prejudice, but white Americans used them just as often to re-frame the boundaries of social behavior. The essays show that technologies and racialized thought are much more tightly connected than we have imagined. Bruce Sinclair is the former Melvin Kranzberg Professor of the History of Technology at the Georgia Institute of Technology, a president of the Society for the History of Technology (SHOT), and a recipient of SHOT's Da Vinci Medal.